The latest, cost effective cloud based technology to add flexibility to your systems. The emergence of cloud technology presents new opportunities to leverage the benefits of moving IT systems into a hosted model. We offer a range of cloud based solutions and work with our clients to ensure that the solutions put in place meet their objectives and actually works. The emergence of cloud solutions opens up a wealth of opportunity for businesses to leverage more advanced IT systems which have previously been out of reach from a cost perspective. Indigo IT offer a range of cloud based services and can work with you on your journey to the cloud. Working remotely is often a key requirement for organisations today, could solutions make this prospect a reality without the need for investment in servers and other infrastructure. Using the internet staff are able to access a host of key services like email or documents from wherever they are. Our Cloud based Backup service provides off-site protection for critical data out of the box. We can setup and then monitor the service going forward to ensure critical data is protected. Cloud based storage provides a low cost solution with the peace of mind that your data is available when required. We are able to provide our clients with a cloud based antivirus solution ensuring that the Security of your devices is effectively deployed and monitored from a centralised console managed by your trusted IT advisor. Again this solution provides a cost effective method of providing corporate level antivirus protection for your business. Indigo IT have a wealth of experience implementing and support Microsoft’s suite of cloud based productivity tools – Office 365. The monthly or annual subscription model provides businesses with a cost effective method of implementing these tools as well as licensing Microsoft Office. Businesses can take advantage of tools like OneDrive for business, hosted exchange email, Sharepoint, Lync and Skype for Business without the need to invest in servers and infrastructure. Indigo IT’s cloud based desktop system provides your business with a fully hosted desktop solution allowing you to work on your PC from any internet connected location. 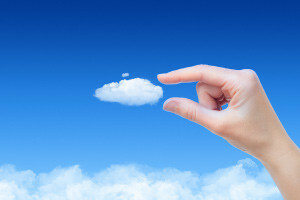 All of your familiar applications are made available in the cloud from a single common desktop. Ideal for businesses who rely on remote workers this technology is robust and reduces the need to regularly invest in the latest desktop or laptop PC’s. Indigo IT provide a range of IT & Telecoms services to SME’s in a variety of different business sectors. Based in Lightwater, Surrey we are ideally placed to service clients in and around the South East but can also operate nationwide. If you have a particular requirement from your IT system then we’ll do our best to find a solution that fits. We assist clients with no internal IT resources as well as those who have their own IT Team that require additional support and assistance from time to time. What ITaaS Means For Your Business? With a fantastic range of IT solutions, we have you covered. Get in touch!